Don't risk dangerous lean condition of your engine when increasing breathing power by additon of internal components such as higher lift/duration cams, reduced capacity heads and large valves as well as aftermarket exhausts/mufflers and Air Filters or other intake upgrades on your Honda clone engine. Get one of our genuine honda 98 fuel jets and set it for safe and reliable power. This jet is ideal where an engine has been internaly modified as well as the addition of race-style mufflers and intake. 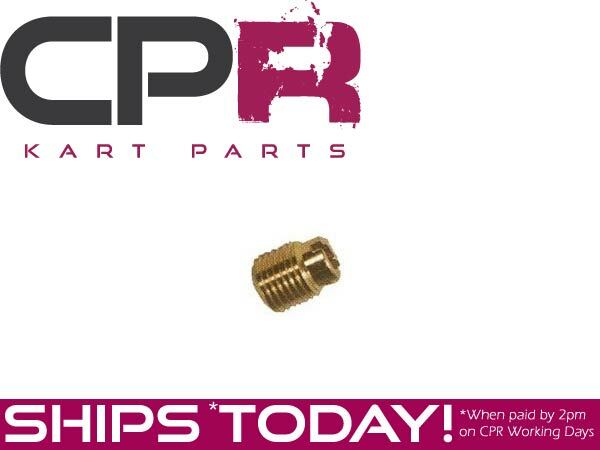 Simply replace your exisiting jet with our 92 for increased horsepower and reliability. Perfect for our standard upgraded engines.